"Does anyone know why HOA fees in Playa Vista are so HIGH!???" 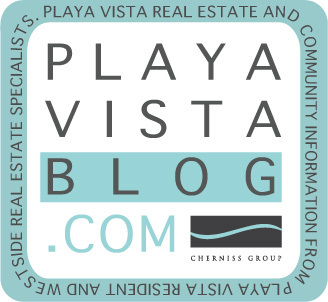 There are 2 HOA fees in Playa Vista, the building's HOA and Community HOA. The community HOA in Playa Vista (approx. $212/month) covers a host amenities: community landscaping and maintenance for parks, full access to the CenterPointe Club (24 hour state-of-the-art fitness center, use of two pools and spa, business center, screening room, game room, conference room, banquet rooms), alarm system monitoring, 24-hour security staff, basic CATV, high-speed internet access. Building HOAs cover (dues vary by bldg): common area maintenance and landscaping, water, trash, sewage, insurance, and any other amenities offered by each building. Playa Vista is a lifestyle oriented community. It's a unique community that offers a plethora of social events for community residents: summer concerts, monthly breakfasts "bagels and brew" to meet other neighbors in the community, movies in the park w/popcorn and snacks, spring and fall festivals, holiday parties (halloween, winter, Easter egg hunts, summer pool parties, etc. ), free shuttle bus that runs weekly to nearby beaches and attractions, dinner cruises, fishing trips, and other events/excursions hosted by Playa Vista Community Services (PVCS). Most of these events are free to residents. The Mello-Roos bond recently decreased about 16% from the previous year (reflective on the 2008-2009 tax bill). This special tax pays for many improvements as well as infrastructure for the community. They include: street enhancements, traffic improvements, restorations of the Ballona Wetlands, the addition of the new fire station, library and parks, landscaping beautification, underground utilities, storm drain, water system, sewer improvements, and electrical systems. Thank you Garry from Culver City for your question.